To open bar or not to open bar—that is the question. Browse through almost any wedding magazine and you'll find the same sentiment: Open bar or bust. Most guests arrive expecting those free-flowing libations, and indulging them is generally thought the polite thing to do. But while many couples want to have an open bar, the budget for bottomless booze can sometimes come with serious sticker shock. Luckily, there's more than one way to ensure a spirited reception on your big day. These tips and tactics will keep the toasts going all night long, no matter your wedding style or budget. We’ll drink to that! A fully open bar generally includes a full range of liquor, beer, wine, mixers, and garnishes. You’ll pay a flat fee up front, which is determined by how many hours the bar will be open and the number of guests that will be attending. Though this is usually the most expensive option, it can be the most cost-effective for big party-style receptions. To your guests, the difference between an open bar and a hosted bar will be virtually undetectable. But behind the scenes, your bartenders will keep a running tab—and present you with a bill you at the end of the night. A hosted bar is a great option if your family and friends tend to go easy on the alcohol. Though a cash bar comes with a full range of libations—it also comes at a cost to your guests, who will foot the tab for their own drinks. The upside: It's easy on your budget. A limited open bar can be the quickest way to a lower booze budget. 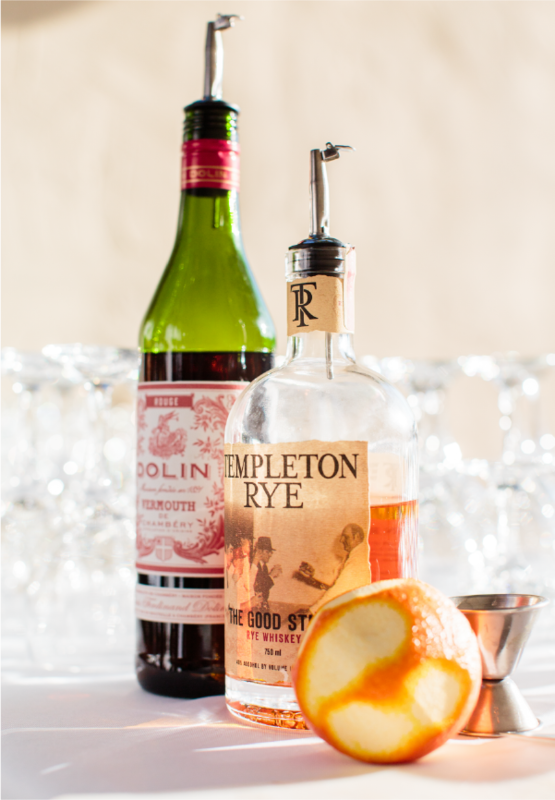 One of the most popular and creative alternatives to a fully open bar is the signature drink menu. Put a twist on a well drink and give it a special name to showcase your personality. Or offer just one or two classics—a festive margarita bar or gin-and-tonic station—for a playful way to personalize your libations without overstocking. These clever cocktail strategies, along with a simple bar set-up serving wine and beer, will satisfy everyone without busting your wallet. Dom Pérignon on your wedding day? Of course, we all want to toast with the best, but the good stuff sure can add up fast. Resist the urge to go top-shelf on everything, and instead, curate a careful selection of beverages that reflects your personal taste and style—without overdoing it. Chances are, after a drink or two, your guests won't even notice the difference between real Champagne and sparkling wine anyway. And if tradition isn’t your thing, consider skipping the bubbly altogether. Instead, let your guests clink drinks with the beverages they’ve already been enjoying all night. Keep in mind that the time of day at which your wedding takes place can have a big effect on your bar budget. No one will complain about mimosas for a Sunday brunch wedding, but your guests may expect some harder options for a Saturday night blowout. Clearly defining the start and end times of your reception will also help you get a clearer picture of what the final tab will look like. If you're hosting a sit-down affair with minimal post-dinner partying, keeping the bar open can still be affordable. But if your reception starts with a 5 o’clock cocktail hour and the dance floor will be open until midnight, a limited open bar or cash bar might be the most cost-effective way to go. If the thought of footing the bill for an open bar gives you a financial hangover, it's time to seriously consider a cash bar. First things first: Decide what will be included. Covering a glass or two of wine or beer with dinner before asking guests to pull out their wallets for additional drinks is totally reasonable and surprisingly common, whereas full cash bars are often found at receptions that take place at nontraditional venues like bars and lounges. Whatever you decide, spread the word to guarantee that your guests come prepared. Adding a note on your wedding web site or at the bottom of your invitation is an elegant way to ensure your guests aren't left high and dry on your big day.